A quarter of a million Somali refugees face violence back home if Kenya continues with plans to shut the vast Dadaab camp, rights groups warned Thursday. Kenya has submitted plans to shut the camp complex located in the east of the country near Somali border by August, according to internal UN documents. 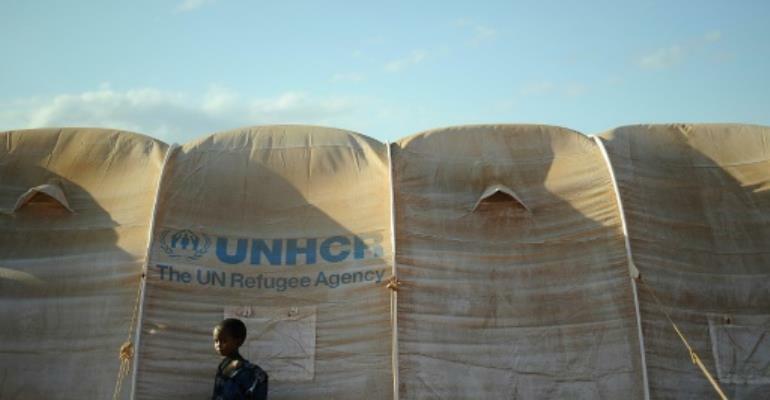 "Many Somali refugees are themselves victims of violence, from which they fled to seek protection," said Otsieno Namwaya from Human Rights Watch, adding that the plan "threatens the rights and safety" of the people. "Forcing them to go back to face violence or persecution would be inhumane and a violation of Kenya's legal obligations," Namwaya added. Amnesty International said Kenya should look for solutions, including integration into Kenyan society and resettlement to third countries. The UN refugee agency (UNHCR) said in a document seen by AFP it was committed to working with the government on voluntary repatriation to countries of origin, relocating refugees to other parts of Kenya and resettlement to third countries. A Kenyan foreign ministry official confirmed to AFP on condition of anonymity that government had sent a note to the UNHCR advising them of the closure of the camp, but would not discuss the matter further. "Kenya courts a humanitarian disaster and international criticism if it intends to forcibly return hundreds of thousands of refugees to Somalia without proper consultation, planning and regard for their safety," Kenya's Amnesty chief Irungu Houghton said. Dadaab is home to some 230,000 people. The vast majority of them are Somalis who fled civil war in 1991. Many have lived there ever since. For many years Dadaab was the world's largest refugee camp -- with once as many as 580,000 residents -- although it is now far smaller and dwarfed in size by Cox's Bazaar in Bangladesh, home to some 600,000 people fleeing Myanmar. Kenya, which sent troops into Somalia in 2011 following a spate of kidnappings by Somali-led Al-Shabaab insurgents, claims the camp is a security risk. Kenya's military remains in Somalia, prompting revenge attacks by the Al-Qaeda-linked Shabaab in Kenya. Kenya has moved to shut the camp before. In May 2016, Kenya decided to close the camp, and tens of thousands of refugees returned to Somalia under a repatriation package. However, many encountered drought, hunger and dire conditions in a country destroyed by decades of conflict, where five million lack enough food, and where war continues. A year later, Kenya's High Court ruled the plan to close the camp was unconstitutional.